Unai Emery has deemed it necessary to make an upgrade to three different departments in the Arsenal team this summer. Upon his arrival in May last year, the Spanish boss who has since helped the Gunners to the quarter-finals of the Europa League and a top spot in the Premier League had limited funds to spend on player recruitment. It was worse during the winter transfer window as the former Paris Saint Germain boss got no funds and had to settle for a loan deal or Denis Suarez. Arsenal have got a team with a number of good players. However, there is still a need to strengthen in order to become a title-contending team. 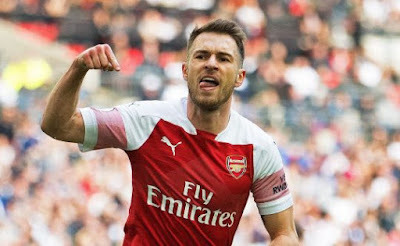 Back in January, Aaron Ramsey signed a pre-contract agreement with Juventus. He will be out of the Emirates Stadium at the end of the season. The void that will be created by the Wales international will require attention, meaning Emery will have to bring in a central midfielder. Some sources have also claimed that the Spaniard is looking to sign a winger who will boost the attack and also a left-back. Despite having Sead Kolasinac, Unai wants a left-back that is not as attack-minded as the 25-year-old Bosnian. A £50 million budget for transfer will not be enough to achieve this which is why the boss may have to sell out some existing players to get more money. Mesut Ozil, Arsenal's highest earner on £350 000-a-week, could be among those to be traded. There are a lot of evidences to show that the ex-German international is not a major part of his plans.